“Each person has the capacity for growth and the potential to reach perfection,” writes Elder Boyd K. Packer of the Quorum of the Twelve. 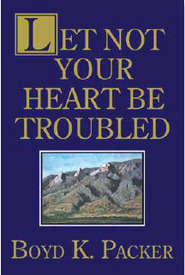 As if written personally for and to each member of the Church, the book reflects the author's awareness of individual concerns, the struggle to progress, to accept change, to become perfect. That All May Be Edified concentrates on building — the building of souls. Exquisitely detailed illustrations of basic structural forms introduce the seven sections into which the book is divided: The foundation of the edifice is instruction. Walls of encouragement are lifted up. Comfort spreads a shelter against despair. Windows of enlightment let in the light of faith. A closed door symbolizes a warning, for there are places that we must not enter if we are to be protected against danger. An exhortation is a buttress to correct error and strengthen the structure. Pure witness becomes the steeple, the capstone, the pinnacle. 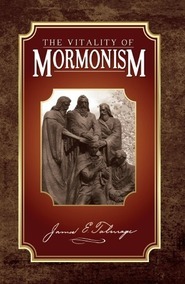 Each section begins with a specially written commentary and includes some of Elder Packer's most memorable addresses and writings on such timely tops as the plan of salvation, thought control, prayer, miracles, nonmember spouses, family life, marriage, morality, obedience, the arts, the Atonement, and many more. 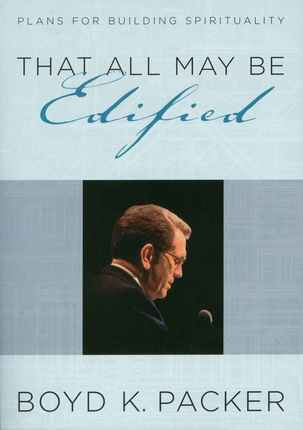 The author's clear expression, creative presentation, and powerful testimony ensure that every reader will indeed be edified. Absolutely incredible! I loved it! It was invaluable to me while attending University. I love Pres. Packer and his wisdom and for helping me come unto Christ!